John Hamilton Barr was born on the 8 June 1911 in Lesmahagow, Lanarkshire. He was the son of Barbara (Foggo) and Alexander Barr, a Colliery Fireman. 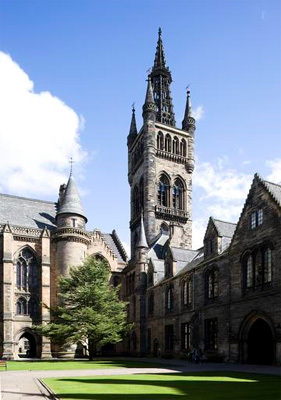 He matriculated at the University of Glasgow on the 24 September 1930, aged 19, to read for a science degree. He studied Maths, Natural Philosophy, Chemistry, Geology and Botany, and he graduated with a BSc on the 4 November 1933. After graduating he became a teacher in Dalbeattie and in 1939 he married Anne (Anderson) McDiarmid Barr of the same town, in Colvend. His wife’s parents were Alford and Jane Anderson of Craigbittern, Sandyhills, Covend. During the Second World War he became a Flight Sergeant in the Royal Air Force Volunteer Reserve, 172 Squadron. He went missing in action on the 29 September 1943, aged 32. His Wellington bomber, equipped with Leigh Searchlight, was lost after taking off from FRA Chivenor in North Devon on an anti-submarine patrol in the Western Approaches/ Bay of Biscay. John is also remembered on the Runnymede memorial, England and on the Dalbeattie War Memorial. Born 8 June 1911, Lesmahagow, Scotland.